Rheingold discusses three terms in great detail in chapter 4, “Social-Digital Know How: The Arts and Sciences of Collective Intelligence”: coordination, cooperation, and collaboration. To understand the differences between these components, Rheingold provides a great analogy, “You need coordination to dance, cooperation to dance with a partner, and collaboration to dance with a flash mob” (p. 153). Four understandings needed to effectively deliver Web collaboration skills (p.149). Eight design principles that successful groups use to organize and govern behavior (p.152). Four descriptions of the related components of collaboration (p. 153-154). Seven rules on what cooperation theory teaches us (p.155). Five different ways that we can learn from collaboration theory (p. 155). Three things needed in a model of how collaboration superpowers work (p.157). Four collective intelligence tips (p.162). Ten ways be a good virtual community organizer (p.165). Six critical success factors for crowdsourcing/crowdfunding projects (p. 172-173). These factors are: vision and strategy, human capital, infrastructure, linkages and trust, external environments, and motive alignment of the crowd. Three factors for social production to work (p. 175). Eight general principles that capture the essence of the open source process (p.176). Five things needed to understand Wikipedia (p. 185). Four steps on how to contribute to Wikipedia (p. 185-186). Thirteen words of advice about wiki collaboration in general (p.186-187). I don’t know where to begin or what to write for this week’s blog – I am overwhelmed. I’m interested in gamification and what it can do, but my manager is more interested in augmented reality. While I enjoy using Wikipedia, I have never contributed or edited a topic. And I have never played World of Warcraft. In flipping through the pages in the chapter again, crowdfunding grabs my attention. Rheingold provides 5 examples of crowdfunding; each is described below. Spot.us “allows journalists to pitch stories they would like to pursue and enables individuals to pledge financial support; pledges are held in escrow until the journalist’s goal is reached” (p.172). However, they are no longer accepting new pitches or donations. They claim to be reassessing their business model and that the evaluation will be completed by June 1, 2014, but they provide no additional information on the results of their evaluation. Kiva.org “matches microbusinesses in the developing world with microlenders” for as little as $25 (p.172). There are four steps in this process: choose a borrower; make a loan; get repaid; repeat. I search for Austin, but there are no requests. There are 59 requests in the United States. The other country that jumped out at me is the Phillippines with 1,296 requests. Inuka.org “enables lenders to microfinance projects by women in sub-Saharan Africa” (p. 172). This is a dead link. I was able to find it on crowdsourcing.org, but even the link the link listed under URL does not work. DonorsChoose.org “allows classroom teachers to post requests” (p.172). From here you can search from the following things that teachers need for students: art, books, math, science, field trips, match offers, project of the day, and projects near me. I’m curious to see what the schools located in Austin need (if any are listed), and am surprised to see that my younger son’s elementary school has two requests listed–one from his former kindergarten teacher. I had no idea this site existed and plan on making a donation. I’m happy that looked up the examples that Rheingold provided in the chapter as I was able to find some crowdfunding opportunities in my city. I challenge you to also visit these sites and see what opportunities are available in your geographic location. While reading chapter 2, “Crap Detection 101: How to Find What You Need to Know, and How to Decide If It’s True,” of Net Smart, I was waiting with bated breath for Rheingold to bring up the controversial subject that has caused great debate, disagreements, and “unfriending” in my social media circle in recent years: vaccines and autism in children. But, he didn’t. 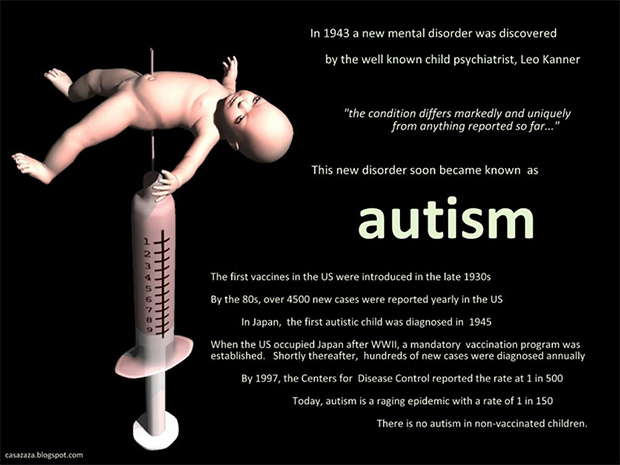 As a parent, do I have concerns that autism might be linked to the vaccines my children receive? Absolutely. Do I vaccinate my children? Absolutely. Do I worry that I might be making the wrong choice after each vaccine? Absolutely. 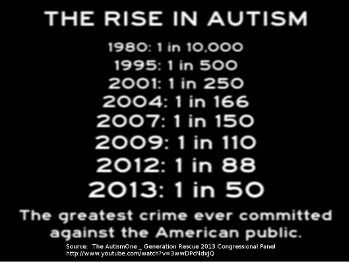 (To date, my sons–fifteen and eight–do not have autism). I Googled “vaccines and autism” and then clicked the “Images” link. From here, the search results were already conveniently categorized for me by “chart”, “don’t cause”, and “for children”. The results also showed screaming babies and needles—scary stuff for any parent. 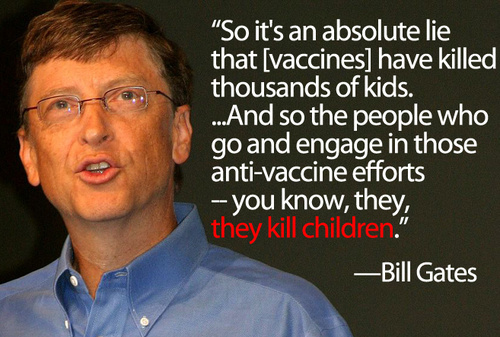 Mixed in with these images, were other cartoons and infographics that were pro-vaccine, one even had support from Bill Gates. But how is this possible when even doctors, nurses, and government agencies—all have credentials and are highly regarded as experts—can’t even agree? Just because a link displays at the top of a search engine, it doesn’t necessarily mean that it is the best source of information. 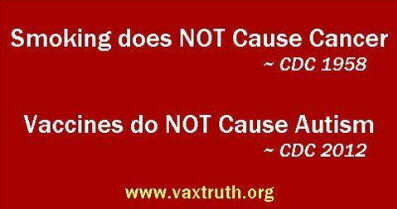 Nor does seeing disturbing photos of needles sticking into babies convince me that vaccines are harmful. To complicate things even further, Rheingold states that when searching online, we “write the answer you want to get when formulating your search query.” So if I enter “vaccines cause autism”, I will probably get rhetoric on how vaccines are bad; and if I enter “vaccines do not cause autism”, I will get information on how the two are not related. This is also referred to as the “echo chamber effect.” We are all guilty of focusing our attention to only things that align or reinforce our own beliefs or behaviors. Is this why AutismOne has 14,000 Twitter followers? Or why there are now children’s books that urge children to get vaccinated against Measles? Would a parent who refuses to give their child vaccines allow that child to read a bedtime story on the importance of being vaccinated? Probably not. With this abundance (overload) of information, this is where my “well-tuned internal crap detector comes in handy.” However, he then cautions that “people who bet their health on online medical information […] the stakes in this detective game are high.” To get my answer on vaccines and autism, I could triangulate–check an author’s name, enter the URL of a site into a productivity index or hoax site, and type “criticism” or “background” in a search–to get at least three things that indicate whether an online link is credible. If you believe some of the stories online, there are large portions of elementary schools with unvaccinated children in California. Other stories cite celebrity Jenny McCarthy as a dangerous advocate of anti-vaccines. 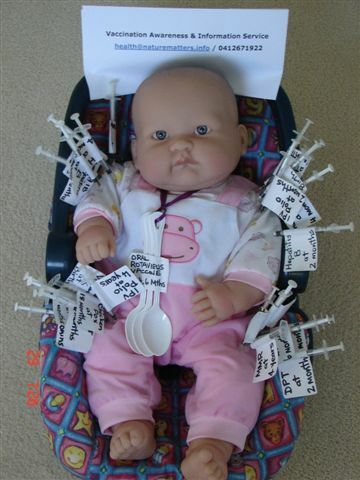 There are blogs written by people who grew up without vaccines but are now reformed and many social media pages and groups that are anti-vaccine that it becomes difficult to figure out which information is useful or accurate. Did you know that World Anti-Vaccination Day is November 11? Neither did I. But just how difficult is it to separate information from presentation and design? In my experience, it is very difficult. While it is relatively easy to use the same chunks of content (e.g., single XML files) in multiple output formats, it is not easy to customize the design, format, and style of an information product. Let me explain. If we don’t develop stylesheets, we will have little control over the presentation (also referred as “signposting” in chapter 2) of our content. This is unacceptable to my manager, as she expects all of our content to continue to have our professional, company-branded formatting. If this wasn’t complicated enough, SDL LiveContent recommends a different professional formatting solution from the one that we currently use (and have already spent a lot of time customizing that stylesheet). We all agree that we do not need to have two or three publishing tools to generate a PDF or HTML. We also don’t want to have a complicated, manual workflow process that takes the content from our CMS, generates output (PDF and/or HTML), and then stores it back in the CMS. We don’t have someone on our team who can write scripts to do that and there isn’t a bridge to connect the CMS with our current publishing tool. Ideally, we want to have our content stored in one repository, and from there, we want to be able to generate output on an ad hoc, as needed basis. We want to click a button—have all the magic happen—and then view the PDF that has a beautiful, professional layout. How we get there is my responsibility over the next few months, but I’m convinced that we will have to ditch our current publishing tool and will have to develop brand new stylesheets.